If you’re a fan of the Seven Sisters series, here are other books by Lucinda Riley that you’re sure to love. 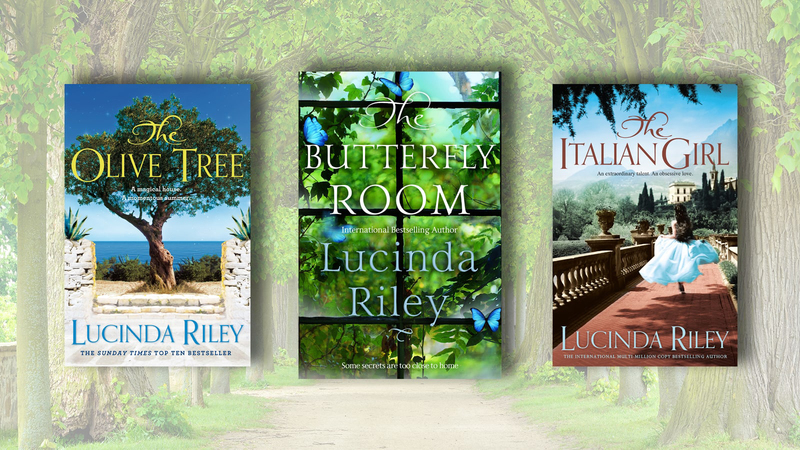 For those who love Lucinda Riley’s international bestselling series, discover her many spellbinding standalone novels, featuring strong female characters and evocative locations. From perfect summer read, The Olive Tree, to Lucinda Riley’s new book The Butterfly Room, here are the books that are simply not to be missed. 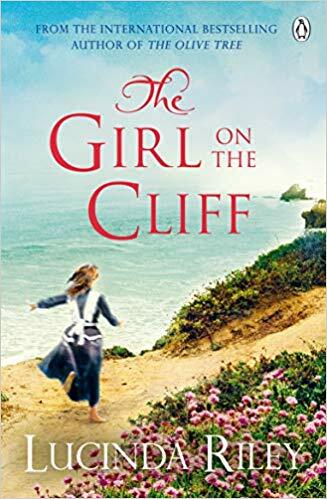 Approaching her seventieth birthday and still living in the beautiful family home where she spent her idyllic childhood and then raised her own children, Posey Montague knows she has a painful decision to make. Despite it’s memories, the house is falling apart, and the time has come to sell it. But then a face from the past - her first love - reappears, with a devastating secret . . . When Helena inherits a crumbling Cypriot house, ‘Pandora’, from her godfather, she returns there with her family for the first time since she her youth. But as memories of her first love come flooding back, a web of secrets she has she has hidden from her husband and son also threatens to unravel. When a meeting with her childhood sweetheart sets a chain of events in motion, both Helena and her son know life will never be the same. Set in London in the mid-’90s, The Love Letter is a thrilling tale full of secrets and lies. When Sir James Harrison, revered actor, passes away he leaves behind a secret so scandalous it could strike the heart of the English establishment. Driven young journalist Joanna Haslam discovers a letter James left behind and she’s determined to uncover the truth behind the lies, but there are others who will stop at nothing to reach the letter first . . . When Greta returns to Marchmont Hall for Christmas, invited by her old friend David, she has no recollection of living there before, over thirty years ago. A tragic accident was responsible for her losing the memories of more than two decades of her life, but when she comes across a grave in the woods something strikes a chord, and Greta begins a quest to rediscover her past. The story she pieces together is not just hers but her daughter Cheska’s, who was not the angel she appeared to be . . . The Italian Girl is a story of love, betrayal and self-discovery which transports the reader from the backstreets of Naples to the world’s grandest opera houses. When young Rosanna Menici meets Roberto Rossini, her life changes forever. Bound together by both their operatic talents and their obsessive love, their relationship, haunted by events from the past, will affect the lives of everyone dear to them. A sweeping epic that travels from the glittering palaces of India to England’s majestic stately homes, this is the extraordinary story of Anahita Chavan. During the reign of the British Raj, Anahita travels with her lifelong friend, Princess Indira, to England where she meets Donald Astbury - reluctant heir - and his scheming mother. Eighty years later, film star Rebecca is shooting her new film at Astbury Hall when she meets Ari Malik, Anahita’s great-grandson, and together they uncover the Astbury dynasty’s dark past. Moving between the present day and 1940s war-torn England and France, The Light Behind the Window is a breathtaking story of love, war and forgiveness. Despite fighting against her aristocratic background, Emilie de la Martiniéres inherits her grand family home in the south of France. Alone in the world, a book of poems leads her to unravel the story of the mysterious Sophia, whose tragic love affair changed her family history forever. After a recent loss, Grania Ross returns to her loving family in Ireland. There she meets Aurora, and discovers that their family histories are mysteriously entwined. With Aurora’s help she will unlock the secrets of the past, from wartime romance to lost siblings. 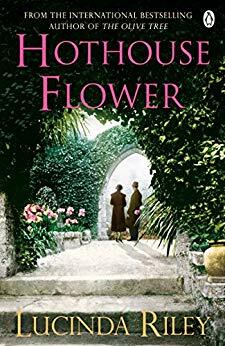 When tragedy strikes, Julia Forrester retreats to Wharton Park, where as a child she spent many idyllic hours in the hothouse where her grandfather tended the flowers. When the renovation of the estate uncovers an old diary, Julia is prompted to seek out her grandmother and learn the truth about an affair which almost destroyed Wharton Park. Find out more about Lucinda Riley, The Seven Sisters series and her other books on her website.